The quality of the air in your home impacts your family’s health, comfort, productivity, integrity of home furnishings, efficiency of HVAC equipment, and even how well you sleep. The combination of extreme weather and sources of contamination in nearly every room often necessitates proactive measures. While improving Indoor Air Quality may sound like a complicated process, it’s really quite simple. Call on the professionals from Jarvis Heat & Air, LLC for accurate diagnosis and customized recommendation in Gainesville, FL and surrounding areas. We’ll deliver affordable and effective results. As a family-founded and operated business, Jarvis Heat & Air, LLC recognizes the impact of Indoor Air Quality. We specialize in whole-home solutions to meet any challenge. 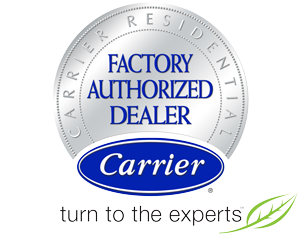 Through our qualification as a Carrier Factory Authorized Dealer, we provide a range of whole-home, whisper quiet, low maintenance options to partner with nearly any style of HVAC system. We work with you to determine the right strategy for your specific home and concerns. From dehumidifiers and air purifiers to germicidal UV lamps and ventilation systems, there’s simply no problem we can’t handle to your satisfaction. Jarvis Heat & Air, LLC provides a full range of expert IAQ services across Gainesville, FL.